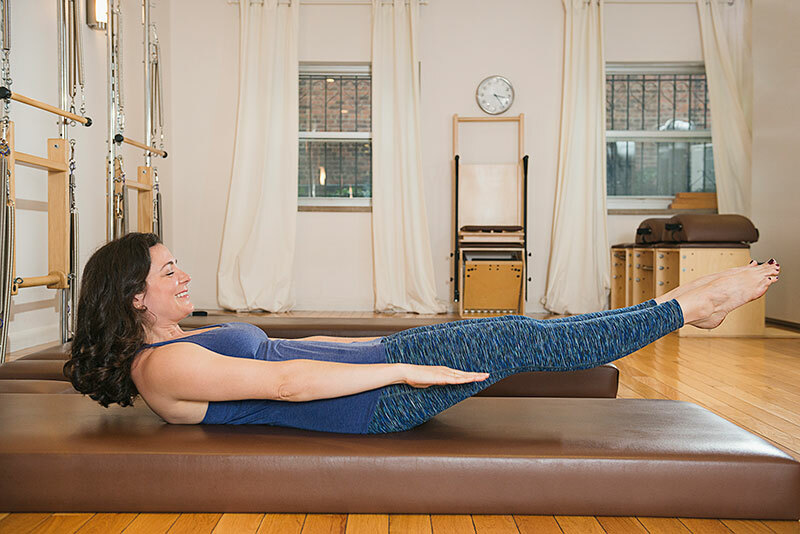 to get the most out of your Pilates session than by taking a private. At The Pilates Local, our staff has over three decades of experience in working with clients of all ages and ability levels, and we specialize in training clients one-on-one. We tailor the hour to give your body the information and feedback it needs to function properly in your other workouts, sports, and everyday life tasks. You’ll learn how to move properly, become familiar with the foundational exercises, and get exposure to all of the classical equipment. Learn Pilates one on one from an experienced instructor. A personalized workout that utilizes all the equipment, you’ll enjoy a session where your goals are our top priority. All the benefits of having a private, but shared with a friend. Duets are available on a limited basis; please fill out our contact form for more information. Let us bring The Pilates Local experience right to your home. Our sessions are customized and modified for your space to enable you to achieve your fitness goals outside of the studio. Please use our sessions request form for availability. *for space rentals, press, and general inquiries, please our use contact form. Have you done Pilates before? What kind of sessions are you interested in? Sign up below to receive updates on Pilates Local classes, workshops, and promotions. Spring Into Summer Intro Pack: 1 Private + 3 Classes for $185Click here to buy!